NYX has an eyepencil that I'd love to try. 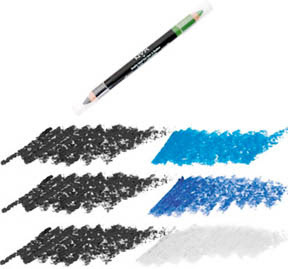 It's a double-sided eyepencil, it has 2 shades in one convenient stick & it comes in several different color combinations. The image below shows some of the colors I would like.